Earn certificates, boost skills. Proven Instructors with top ratings. Watch for Discounts & specials! Disclosure: We are a professional review site that receives compensation from the companies whose products we review. We are independently owned and the opinions expressed here are our own. Your COMP staff has taken many of the courses you see here (we too are professionals in Digital Marketing). Here's to your success in your marketing career! You Will Understand How To Set Up A Simple Yet Powerful Marketing Strategy For Your Online Business. Understand. How Social Media Marketing Really Works. Write Blogs And Articles That Get Viewers To Take Action. COMP is an online directory of top marketing courses for busy working professionals. We’ve hand-selected courses for marketing professionals currently on Udemy — where you receive lifetime access via computer plus mobile apps for IOS and Android. We choose courses that have 4+ star reviews, and look for instructors who have worked in the trenches for the subjects they teach. We also may include courseware and books from other publishers soon. Webdirexion & COMP are affiliates for Udemy, Amazon, Clickbank, MailChimp, Elegant Themes, The SSL Store, MindMeister, Lead Pages, SEMrush, OnePageCRM, Nelio, WP Site Hosting, LiquidWeb, & BlueHost. Disclosure: We are a professional review site that receives compensation from the companies whose products we review. We are independently owned and the opinions expressed here are our own. Your COMP staff has taken many of the courses you see here (we too are professionals in Digital Marketing). Here's to your success in your marketing career! Subscribe to our COMP Learning newsletter and we'll send you a free R.A.C.E. (Reach. Act. Convert. Engage.) 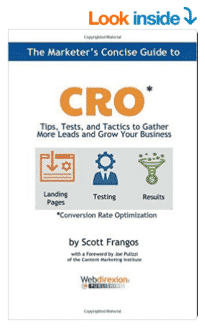 Marketing Checklist for CRO and Content Marketing.